As India continues to embrace digital payments on Unified Payment Interface, Google India announced train ticket bookings for Indian Railways, powered by Indian Railway Catering and Tourism Corporation (IRCTC) through the Google Pay app. This feature will be available for both Android and iOS users. 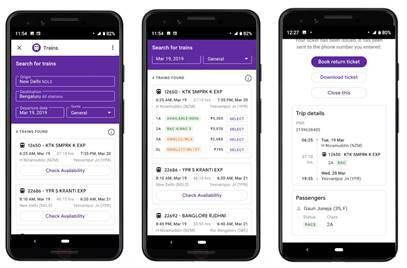 The new launch builds on the travel and transit services that are already available on Google Pay.